Hurry! Only 15 seats available! Sign up now and learn practical tips and how to advocate for your child with autism. Call now at (02) 926-6941, (02) 929-8447. 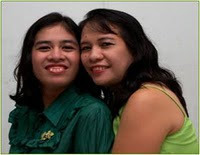 After her daughter's diagnosis, Teacher Ging Viado became a special education teacher specializing in autism because of her desire to give quality education for autistic individuals especially to her daughter Gigi who is now 26 years old. She was a former principal of Cahbriba Alternative School Foundation for Autism, in Los Baños, Laguna. She conducts lectures to parents and professionals for almost 2 decades. She was motivated to put up a school for autism, The GS Option House for Autism and Learning Center in Biñan, Laguna. The center offer special education and inclusive program for Person with Autism. She also nurtures talents of PWA like the Autism Dream Girls. As a board of trustee, she hopes to extend the services of ASP in Biñan Laguna and nearby municipalities. i was just want to ask if this certain society accepts a 12 years old young boy who has a uncertain habit . He was irresisting on any long objects like screw driver , ruler and brush , etc. Please help us . is that is a kind or a sign of being an authestic child or just a behavior problem ? pediatrician or psychologist. Click on the link below to know more. How much is the fee? for the event on may 26 2012? is it really a free seminar?i am really interested but quite out of budget for now coz i have a nephew who i doubt has autism on a minor scale he is 6 now and still couldn't speak well despite of the teaching from school and from his mom. the free Family Support Group meeting on the 26th of May is not a seminar. Its a simple gathering of parents of a child with autism (cwa)with a limited slot of 15 seats only and will be facilitated by a parent of a CWA. If you wish to attend, kindly call us at 926 6941 or 929 8447 to register. Thank you so much.